Disappointed. That was my initial reaction when I heard the news that PPP Canada had announced that the City of Calgary's application for the funding of some much needed recreation centres in Calgary would not be approved. As a member of the South East Calgary Recreation Society ( SECRS) for the past few years, I have seen firsthand how hard this committee has worked with the City of Calgary to try and address the recreation facility deficits in our city. 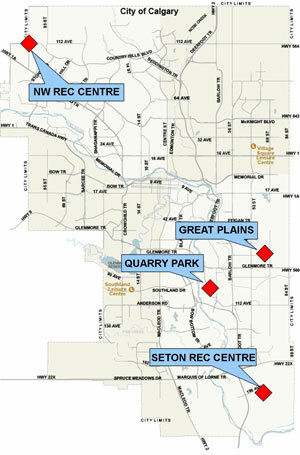 As a parent, I am fully aware of the lack of recreation facilities in our area. And as a volunteer and community association president, I am committed to finding a solution to address these issues. Talking to the city about recreational needs will fall on deaf ears . The city won't deal with the corruption even in their ranks . Bosses keep their positions with the city when they have been seen guilty of their conduct not being as they tout it should be . The city departments are a joke for the waste of money they get to spend randomly . One dept went as far a fear mongering to the staff that they wouldn't have jobs at the end of their season . When they had jobs to return to in all actuality .